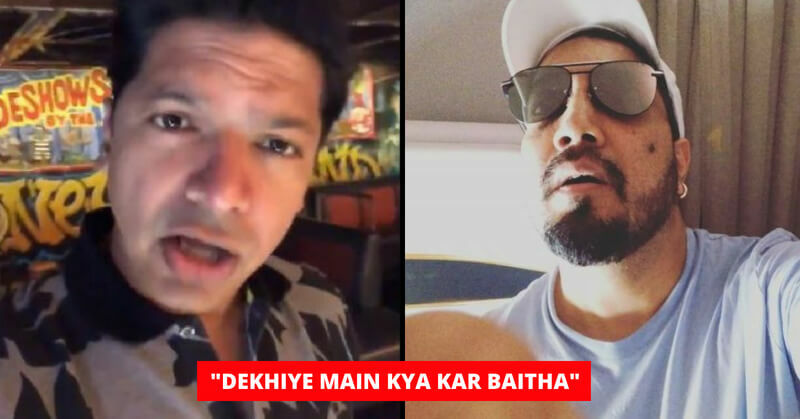 Bollywood and Punjabi singer, Mika Singh took to social media to share a video of himself, where he flaunted to fans that he has booked the entire 1st class of Emirates while flying to Dubai. He occasionally pulls stunts to show off his wealth and flex on social media. Here’s how the whole exchange went. He had captioned the video as, “Good morning, I have just landed in Dubai.. booked the whole 1st class for fun…‪@emirates is the best …. yeah baby I’m loaded”. Off to #Dallas usa ..
As soon as the singer posted the video, internet didn’t take much time to troll him for booking the entire business class and then showing off the fact. Some advised the singer that he should have rather given this money to poor, while some told him to stop showing off. Most of his fans were angry at Mika Singh for wasting his money booking entire 1st class on a flight. But Shaan has the most hilarious response to the video. Furthermore, People these days have a tendency to show off their wealth on social media and flex what they are able to afford. It is a cheap attention seeking stunt. These people spend on the most trivial stuff which is of no help to anyone or themselves. It is a sheer waste of money. The money could be spent on something valuable and not meager. This habit is not only prevalent now but since the old age. Read about how these Indian rulers lead luxurious lives and spent on unwanted stuff here.